A native of Trinidad & Tobago, Gardner hails from a family of evangelists. His mother, Rev. Merle Gardner, is a pastor; his uncle, Kennedy Patterson, is a gospel artist and his grandfather, Ivan Patterson, was a Bishop in the New Testament church. Gardner began singing in churches at the age of five, and recorded his first album, “Power in the Name,” when he was 17. At the time, gospel music with Caribbean instrumentation was considered secular and was rejected by many because they focused on the rhythm instead of the lyrics. Minds began to change as they witnessed Gardner’s music influencing youth to change their lives and to become Christians. Over the years, Gardner earned nine Marlin Awards the Caribbean number one gospel awards and is now a Stellar Award nominee and he is the first non-Jamaican to earn Song of the Year. He’s also earned the COTT Award (Copyright Organization of Trinidad & Tobago, the island’s prestigious performing rights organization) as Gospel Songwriter of the Year two years in a row. Gardner’s recorded sixteen albums of his own and has produced dozens of other artists. Gardner has spent time in the USA, working with various churches, as well as, sharing stages with the likes of CeCe Winans and Israel Houghton. 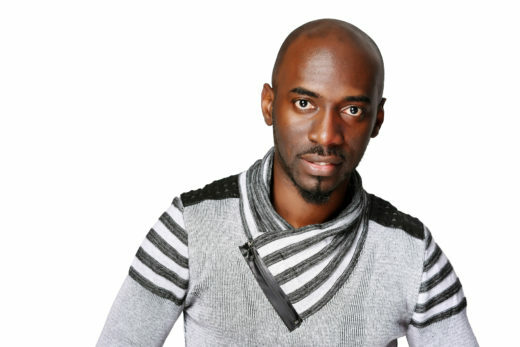 He has also collaborated with the likes of Jonathan Nelson, Papa San, Todd Delaney, Deitrick Haddon and DJ Nicholas. The “Greater” album features cameos by Deitrick Haddon and Todd Dulaney. © 2019 Sherwin Gardner Ministry. All Rights Reserved.